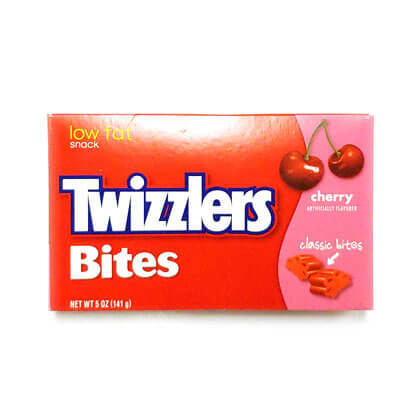 Bite size licorice delights in cherry flavor. Approx. 11 pcs per oz. Box. Approx. 6 inches by 3.5 inches. 5 oz theater box.